Nouraddin Nouraddin, M.D. is board certified in Internal Medicine and practices at our main campus downtown on North Eddy Street. He became interested in internal medicine because he really enjoys the science of medicine and the need to know the physiology and process of the disease, as well as creating a plan to manage it. He graduated from Salahaddin Medical College in Northern Iraq with an M.B.Ch.B. degree and says even prior to medical school; he always had the ambition of completing his medical training in the U.S. He came to the U.S. for his internal medicine training at Lincoln Hospital in New York City. He worked in several regional hospitals before joining The South Bend Clinic. 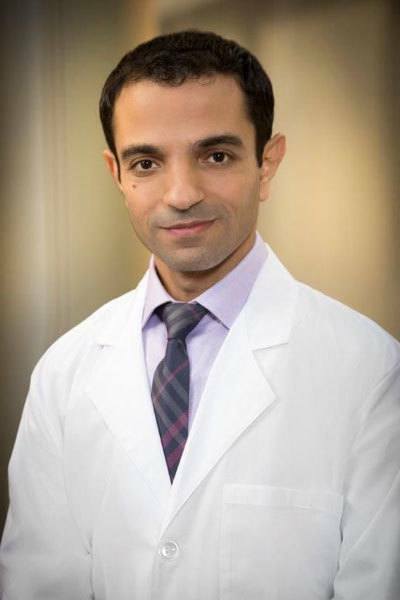 Nouraddin strives to enhance patient care through the mutual relationship with his patients, and to function as a team to develop and implement the strategies that lead to improvement in patient outcomes. He is board-certified in Internal Medicine by the American Board of Internal Medicine and is a member or the American College of Physicians. In his spare time, Nouraddin enjoys cooking, reading and watching documentaries. For an appointment with him, please call 574.237.9340.